I knew we had hit upon a great family friendly hotel when I saw the lines of wellington boots in Reception available for guests of The Ickworth Hotel to borrow for the duration of their stay. Then the 4 year old started jumping up and down when he discovered there was a trampoline (his latest craze), and the 1 year old started pointing at the Little Tikes cars on the lawn and I knew we would all have a great stay here. The Ickworth is a country hotel set in 1800 acres of National Trust parkland in the beautiful Suffolk countryside. It is a member of the Luxury Family Hotels group, which means that children are positively embraced and welcomed with open arms. It effortlessly combines the luxurious elements of a hotel which parents look for on holiday with the toys, play and outdoor space that young children love too. 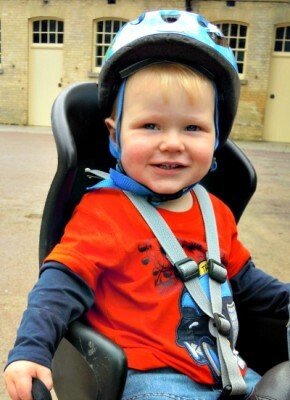 I was lucky enough to visit The Ickworth Hotel with my husband and 4 year old and 18 month old boys in September 2014. We arrived at The Ickworth after a 3 hour car journey from Yorkshire and went to our apartment in The Lodge. The Lodge is a separate building about ½ mile from the main hotel which has 8 apartments and 3 double rooms set in 4 acres. This was the home to the Earl of Bristol whilst Ickworth House was being built. The first thing that struck me about our apartment in the Lodge was the space – it was huge and had plenty of room for a family of 4 or 5 and even a family with older children. 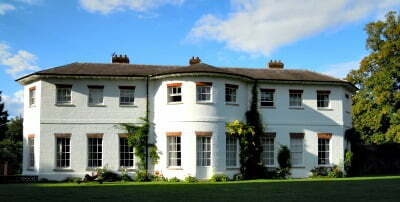 There were 2 large windows overlooking the parkland and a large queen size bed in the centrepiece of the room. The apartment had bags of character with chandeliers hanging from the ceiling, thick floor to ceiling curtains, shutters and ornate decorations – really giving it an air of luxury. The bathroom was one of the largest I had ever seen with 2 sinks, a large bath (including a non slip bath mat) and lots of lovely toiletries. The boy’s bedroom was also large with 2 single beds and the travel cot (which has already been put up). There would have been plenty of room for a 3rd child in this room too. There was also a small kitchenette with a fridge (including a pint of milk), microwave, bottle warmer, steriliser, tea and coffee making facilities and a table. I had also prebooked a nappy bin and changing mat and this was also waiting for us in our apartment when we arrived. Downstairs in the entrance to the Lodge, there was table football (or a football table as the 4 year old called it), a chest of toys which the children could use and a lovely outdoor play area in the beautiful lodge grounds. The boys were desperate to stretch their legs after the long car journey so we took them outside to play. The shoes were thrown off and they were soon bouncing up and down on the trampoline. It was a lovely sunny day and there were sunbeds for my husband and I to lie on whilst we were watching them. There was also a wendy house, some little Tikes cars (the one year old’s favourite) and a small playground. They were in heaven – and so was I lying on the sunbed. 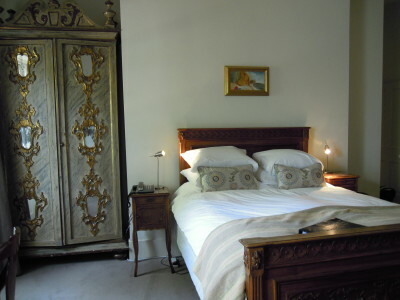 There also are 27 bedrooms in the main Ickworth Hotel bedroom ranging from Standard doubles, to Family Suites and interconnecting rooms – all designed to accommodate families with young children. On the first night, we chose to eat at 6pm in the Conservatory in the main Ickworth House. There is a range of eating options at The Ickworth geared up to dining with young families. Children can have high tea at 5pm, and there is adults only dining in the exclusive Fredrick’s restaurant where you can enjoy a candlelit meal overlooking the Italianate gardens. There is a babysitting service available (£8 per hour) and a free baby listening service for guests staying in the main house. 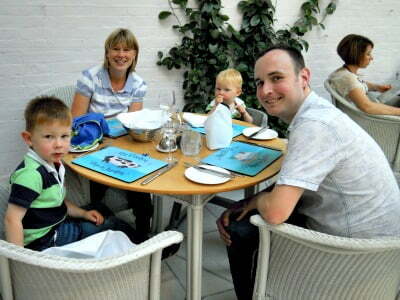 The Conservatory is a lovely airy place overlooking the gardens with an extensive menu for adults and children. I chose the Suffolk mussels with linguine (£16.95) and my husband chose the burger (aprox £15). The children had fish goujons and sausages respectively– both of which were served with fresh vegetables. There were plenty of high chairs available and a full complement of toddler cutlery, plastic cups and plastic plates. It was really nice to have a relaxing family dinner surrounded by other families enjoying themselves too. It was going to be a busy day. After breakfast we headed to the Bike Store to choose some bikes to borrow. The Ickworth Estate is perfect for cycling around. The roads are quiet, flat and there are plenty of cycle trails to cater for all abilities. Bikes are available to borrow free of charge for guests so we borrowed an adult bike with a seat on for the 1 year old, a ladies bike for me and a bike with stabilisers on for the 4 year old. We grabbed a cycle map from Reception and headed off on the Family Bike Trail. This was aprox 4 miles long and took us around the whole Ickworth Estate. We had a wonderful morning cycling around the stunning grounds – although some parts of the trail were a bit tricky for a bike with stabilizers on. The 1 year old loved pointing at the sheep and the 4 year old was so proud of himself for cycling 4 whole miles. After a quick lunch, it was time for a dip. There is a lovely indoor swimming pool at The Ickworth Hotel which we were lucky enough to have to ourselves. We borrowed towels from Reception and spent a lovely hour or so swimming. Next, it was time to investigate the Fairy Garden. This is a lovely enclosed garden outside of Ickworth Hotel with a trampoline (hurray! ), cars (hurray!) a wendy house and a little playground. The boys were in their element as they played here whilst my husband and I watched them. I began chatting to another lady who was watching her children too. She had a 4 year old and a 4 month old baby and had chosen to stay at The Ickworth because it was ‘easy’. Having been at The Ickworth for a day now, I could understand what she meant. Even the boys were starting to flag now, so we headed back to the Lodge with an Aladdin DVD we had borrowed from Reception. The next morning we didn’t have as much time as we were checking out and the boys had a lie in. It was another beautiful sunny morning and my husband and I were keen to explore the National Trust owned Rotunda which is next door to Ickworth House. All guests of The Ickworth receive 2 hours of complimentary childcare per day in the Bears Den crèche. 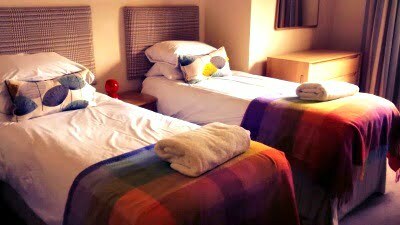 Our boys really enjoyed their time in the Bears Den – this is a lovely area for children including a ‘home’ area, reading area, special baby area and loads of toys. There are various activities on throughout the week including Messy Play, Cooking and a Gardening Club. Our boys came out armed with a grass head which they had made when they were there! The crèche is also open for families to play in over the lunchtime which is great for rainy days. Whilst the boys were playing in the Bears Den, my husband and I went for a walk around the stunning gardens at the Rotunda and had a coffee and a piece of cake at the coffee shop – perfect. We didn’t really leave the Ickworth Estate during our 2 night stay, but there is loads to do for families with young children in the local area including visiting the beach, Thetford Forest, BeWILDerwood, Jimmy’s Farm and Colchester Zoo. The hotel has loads of info on local attractions and publishes a daily newsletter about events and places to visit. I loved the fact that they had so much fun and loved listening to their giggles as they were playing. 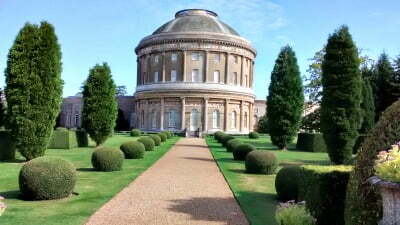 I also loved eating out as family, exploring the stunning Ickworth Estate and having a coffee and cake with my husband. My sincere thanks to The Ickworth hotel for hosting our stay.